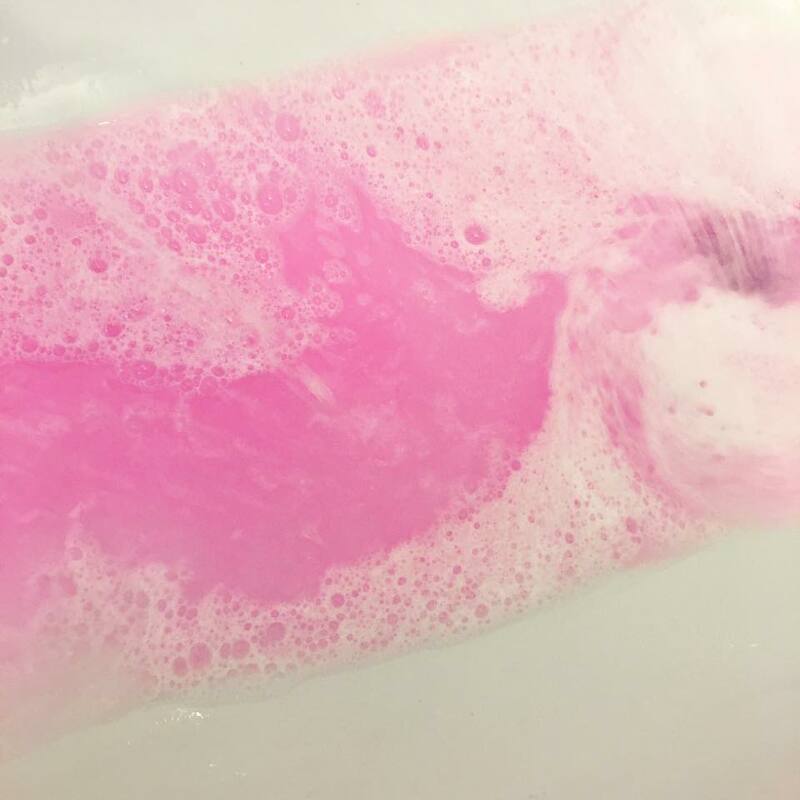 Floral Danielle: Dying my hair pink - Bleach London Rose Super Cool Colour Review! Dying my hair pink is something that I've wanted to tick off my bucket list for a very, very long time. 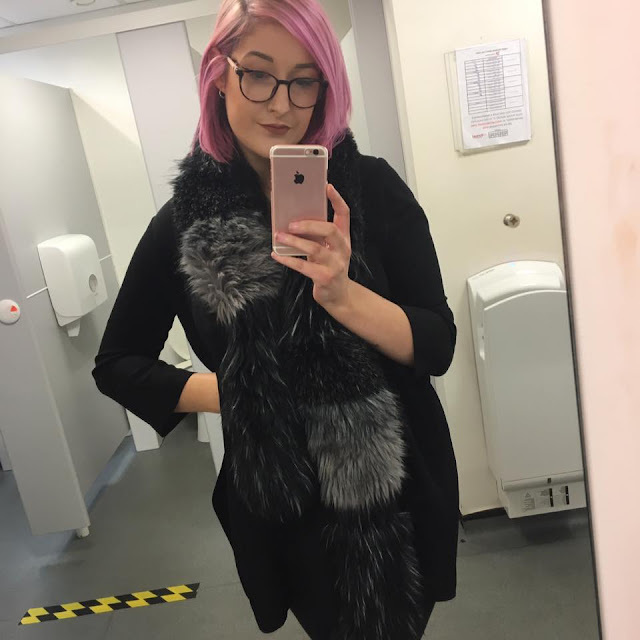 Pink is my favourite colour, but I don't really ever wear anything pink and I was actually quite scared about dyeing my hair such a bold colour. 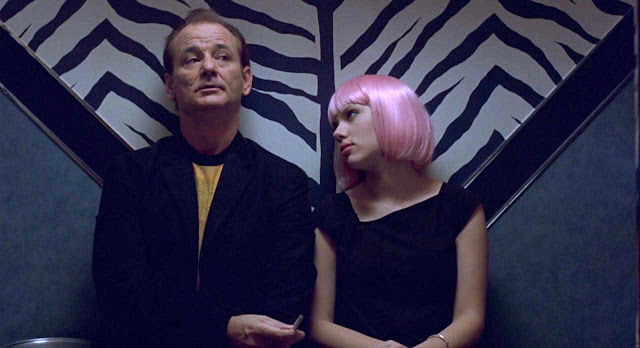 The first time I decided to dye my hair pink was at the hairdressers. I was telling my hairdresser how bored of my hair I was, and that I was tempted to either go really short or really dark. 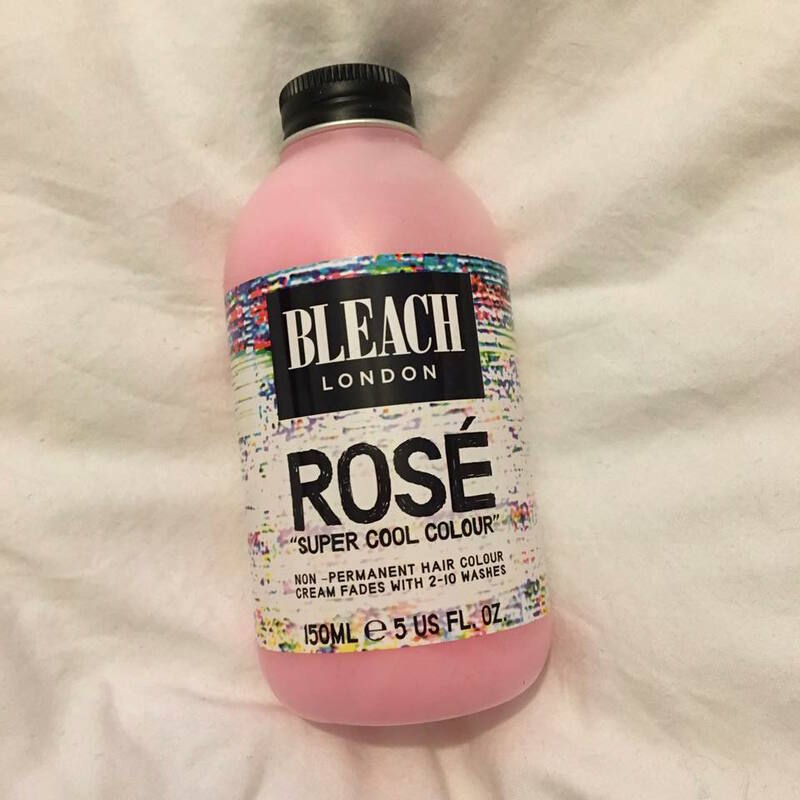 She knew that I had always wanted to go pink one day, and suggested that I use this Bleach London product as she had half a ready mixed bottle left over. I must admit that I hadn't heard the most positive reviews about the Bleach London Super Cool Colour products. One thing that I had heard was that some of their colours (mostly their blue tones) had stained people's hair green and it was pretty much impossible to get rid of, so that had put me off slightly. Another thing I had heard was that the dye barely worked. And oh boy was I wrong. As I said above, we only had about half a 150ml bottle of product left to use. Both me and my hairdresser were pretty sure that the dye wouldn't do all that much to my hair, and that it would leave a really subtle pink all over. I had just had a half set of highlights and haircut, so my hair was damp and we put the product all over. The suggestion is to leave the dye on for 15 minutes but we left it for nearer to 30 minutes. Usually after having my hair bleached, we would use a blue toner on my hair, and I would continue for the next week to use purple shampoo on my hair to make the roots the same silvery colour as the length of my hair. As we didn't do this, and went straight to dyeing my hair pink, the roots were slightly more yellow than the rest of my hair, and the pink didn't take too well to the roots. Above is a photograph taken on the evening of my salon trip. At the time I thought my hair felt SO PINK, but looking back on it, it was actually a really nice light-ish pink shade. Although the pink dye didn't take to the roots, I actually quite liked it at the time because it wasn't such a bold statement look. It was at this point that I knew I really liked the colour of the Bleach London Rose dye and I would definitely be using it again at home. The second time I decided to give the Bleach London Rose dye another go, I had the help of my best friend. We didn't purchase any rubber gloves so we used bare hands and then last minute some cling film. Believe me when I say it's just easier for everyone if you go to the shops and buy some gloves. Everything got stained pink. The product claims to last 2-10 washes but having only washed my hair a couple of times and it was nearly all gone, I knew I would need to leave it in for quite a long time if I wanted it to last longer. I think the hair dye works so differently for different people, and for my hair personally, the colour holds really well at first but then fades quite quickly. We applied the dye to dry hair and left it on for just over half an hour. We wrapped my hair in cling film to keep in the moisture as it dries out quite quickly. I feel like it was quite easy to do at home and I could do it myself even if I didn't have someone there to help me out. When it came to washing out the product, I didn't use any shampoo and I just used a little bit of conditioner. The colour left was so much more intense than I ever imagined and I wasn't sure if I loved or hated it. But the product itself had most definitely worked. I dried and styled my hair as usual and I actually really liked the finished colour (as the picture below). As before, the hair dye lasted 3-4 washes, getting more subtle with each wash. I think the look after two washes is my favourite as it's a lovely dusky pastel pink, which is what I would have originally hoped for. My current mission is to dye my hair pink evenly all over and to keep it pink evenly all over. I have left the pink fade out for now and am in the process of silver shampooing my hair until it is all one colour. Once I have this even base, I intend to go pink again. 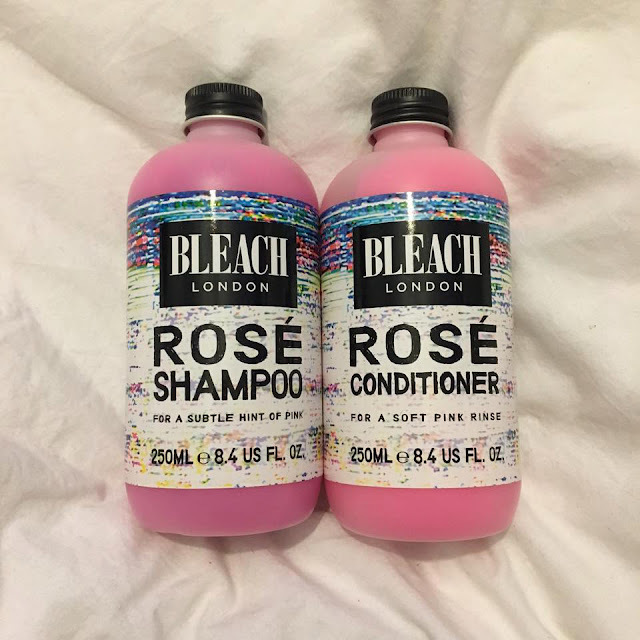 I have purchased the below Bleach London Rose shampoo and conditioner to try out. I absolutely love the colour left after one or two washes, so I'm really intrigued to see if the shampoo and conditioner will give this colour effect but in a more long term way. I will post a blog post once I have tried and tested them out, so fingers crossed! Have you ever used a Bleach London product? Have you ever dyed your hair pink using another brand? Never used a Bleach London product before, not sure I am brave enough to colour all my hair. I might try doing the ends, however I think in my 40's it would be a tad inappropriate, or maybe risky. Glad you liked the end result! I've never used this brand before but I like the sound of it. The colour looks really great on you! Wow fab product. I love your hair. It suits you. I wanted to dye my hair pink for a long time but I am brunette and don't know how it will turn out. But your hair look so good. I seriously LOVE the pink! 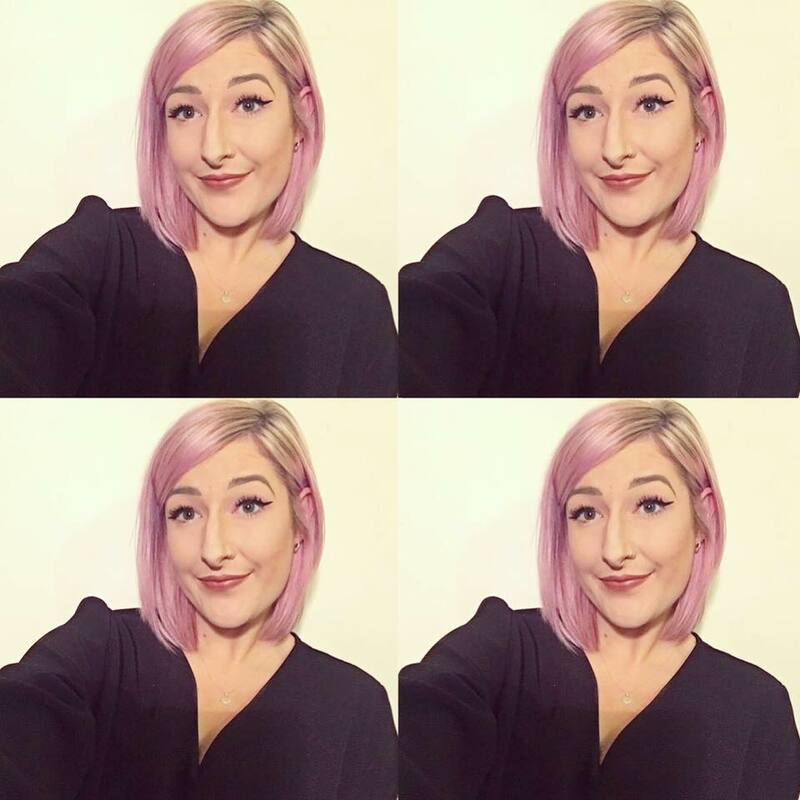 I dyed the underneath of my hair pink a few years ago and absolutely loved it. So cute. What a great shade of pink and it really does suit you. Oh that pink looks so cute! I would love to have pink hair but i currently dye it black and it would be so much work to get back to a light colour - i am tempted to cut it all off and start again! It looks really pretty. I'd love to colour my hair pink but it wouldn't suit my skin tone which is a shame. Wow you look great with pink hair! I want to do this now!! That is a super cool colour. I love the pink! It looks fab!